imports that began in 2013. (Chart 1). changes in the wider European economy. against the U.S. dollar by around 8% during 2018.
in trade elsewhere in the region. region are also now being funneled via the Netherlands. dominance of EU-based manufacturers in the region. 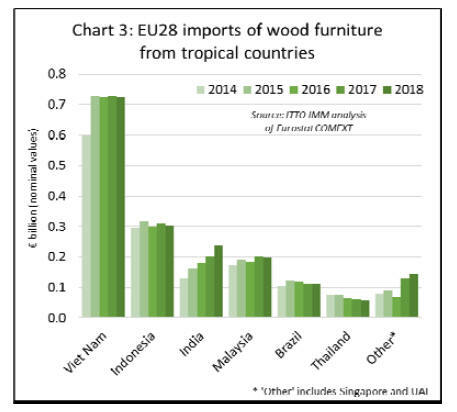 85% of all wood furniture sold in the region. labour cost advantages of overseas producers. own identity and market momentum. access to information on fashions and other market trends. 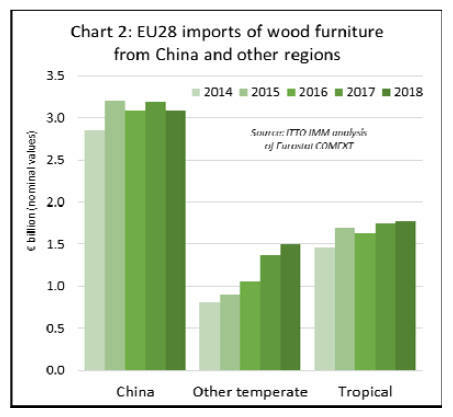 wood furniture exports to �8.78 billion. 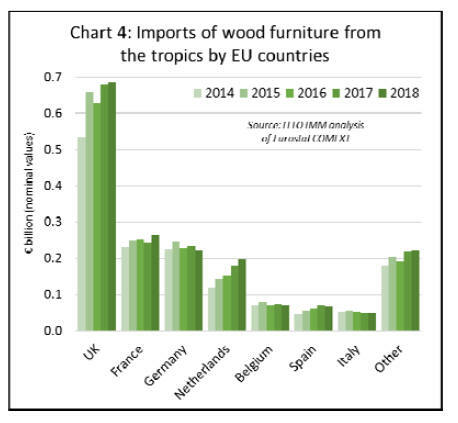 league table of wood furniture producing nations. relatively low oil prices and political instability. exports a little this year. exports are unlikely to rise significantly this year. compete with EU domestic manufacturers. weakening of European currencies against the US dollar. ground in the EU market. laws for pollution control pollution in China. from other temperate countries, mainly bordering the EU. Ukraine, Belarus, Russia, USA, Bosnia, and Turkey. up 2% compared to the previous year (Chart 2). was followed by a decline in 2018. 2% down at �199 million last year. Netherlands (+9% to �198 million). to �67 million), and Italy (-1% to �50 million) (Chart 4). may have significant long-term effects. resolving the Brexit issue one way or the other. UK’s vote to depart the EU are very hard to predict. to be seriously challenged in the foreseeable future. released by the Italy-based research organisation CSIL. growth concentrated in Asia and Pacific. growth should continue until at least 2020.
is the highest in the world (alongside North America). 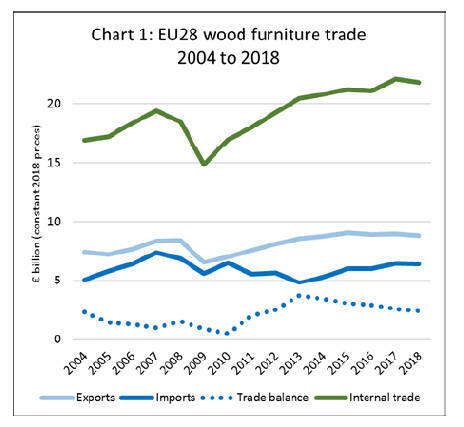 imports and 41% of world furniture exports.